Mary congratulates those that have achieved so much over the last 8 weeks and encourages more to come on board. 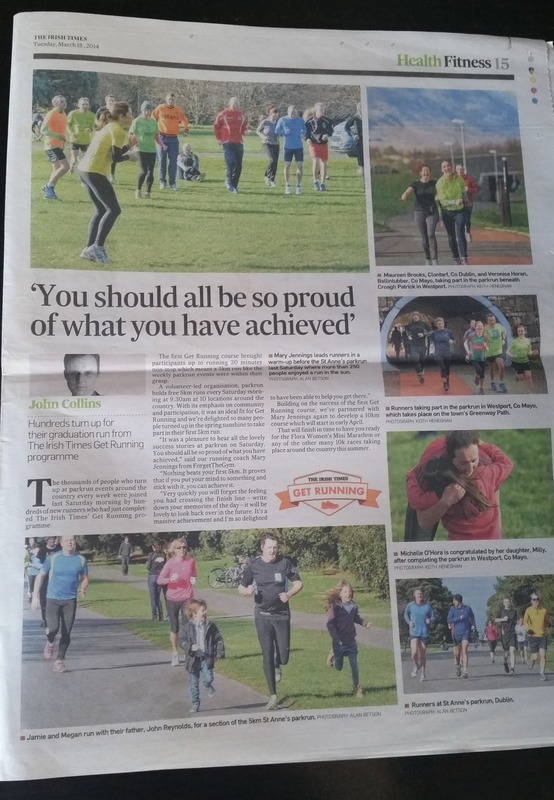 Some lovely pictures that capture the moment of the first 5k and plenty more to view in the main article online here. This article first appeared in The Irish Times in March 2014.